For us, it's all about caring! 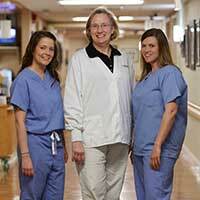 At Grand Strand Health, you'll find that caring extends to both our patients, their families and our team members. We are committed to each other because when we join together, our patients are cared for in the safest and most compassionate way. Are you looking for an employer with many different career options and a patient-focused culture? You've come to the right place. Explore everything that our hospital has to offer during our upcoming RN Interview Days! Come and meet with our hospital leadership team and interview on the spot. Be part of the Grand Strand Medical Center nursing team that puts the care and improvement of human life above all else. Grand Strand Health is a multi-facility health system located on the coast of the Grand Strand community. Grand Strand Health is comprised of Grand Strand Medical Center, two freestanding ER facilities (South Stand Medical Center and North Strand ER) and outpatient medical services (Advanced Wound Center, The Breast Center, Carolina Forest Imaging Center, South Strand Medical Center). We invite new and soon-to-be graduates to apply for our StaRN New Graduate program! Our course allows new graduates to obtain acute care nursing experience through an intensive internship and then transition to staff roles within our hospital. Thank you for your interest in Grand Strand Medical Center! We hope you find our application process simple. Once you submit your application, you will receive an email to complete a pre-hire assessment. It will take 15-20 minutes to complete and is required as part of the application process. Please contact HR at (843) 692-1640 for assistance or consult the FAQs on this page.